As per Microsoft’s release roadmap, twice a year (half-yearly) a major update is released, in spring and in fall. 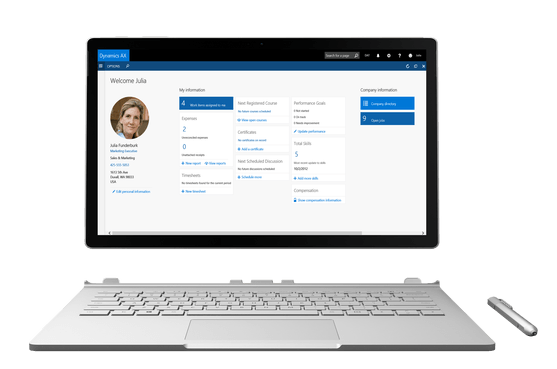 Dynamics 365 for Finance and Operations, Enterprise Edition platform July 2017 update is what we unofficially know as ‘Spring release’. This update is the second major update since the RTW (Release To Web) release and comes with a lot of neat new features. This post is to highlight some of the, in my opinion, most interesting and valuable features. The Spring release (July update) offers a set of new workspaces. Some are just a nice way of getting a quick overview around a specific business process. Others, such as the data validation checklist or the configurable business process, have very interesting functionality behind them with broad use-cases. With regards to Human Resources, there are some interesting new features. Most interesting in my opinion is the Configurable business processes feature. This feature allows you to create and track business process templates for processes within your organization. Tracking is done using the ‘Configurable business processes workspace’. Templates can be re-used or copied for recurring processes. Once you create a template you can track all the tasks that need to be completed as part of the specific process. Tasks can be assigned to specific users, have due dates set and can have instructions set. A lot of changes in the Retail domain are with regards to extensibility. There is the Next generation Retail extensibility framework, Configuration driven extension, CRT handlers and extensible enums, Support for multiple Retail server extensions, POS extensibility enhancements, Enhanced channel database extension model and CDX extensibility enhancements. The product team has really put immense effort in supporting extensibility. On a more functional level, there are also nice new features of which I will highlight some below. The Peripheral simulator introduces an important update to the previously released peripheral simulator. New to the Peripheral simulator for Retail is a point of sale simulator that can test peripheral devices for compatibility with the Modern point of sale and Hardware station without the need to deploy those components. Create and publish shifts and schedules for workers in stores. Copy schedules from a previous week to the current week. Visibility of absence requests submitted by retail workers with the ability to approve or reject requests. Visibility of shift swap and offer shift requests with the ability to approve or reject requests. Visibility of shifts and assigned schedules, along with instructions for the shift. Visibility of co-workers assigned to shifts. Submit request for shift swap with a co-worker. Submit request for ‘Offer shift’. The Inventory lookup form now displays the reserved inventory and incoming order quantity along with the total inventory. An additional capability named “Available to promise” (ATP) is now available in POS. This allows cashiers to see when and how much new stock is expected to be delivered to current and other stores and warehouses. Both product and customer search scenarios have been improved. The search bar now enables you to choose whether you want to search for products or customers prior to performing the search. The search bar can be configured to display the product suggestions while typing, allowing you to search the products quickly. You have the flexibility to configure whether the product search results should match ‘all search terms’ or match ‘any search term’. Additionally, the product search now searches in the ‘Searchable’ property of the products as well. Customer search has also been made smarter. Social Engagement shows you any conversation that involves private messages (Facebook or Twitter) and Twitter replies of one of your social profiles. For more information, see View posts and conversations in Social Engagement. You can monitor LinkedIn Company Pages owned by your company, and engagement on posts and comments from Company Pages. Vendor collaboration was enabled in earlier releases. There now is a more seamless consumption of changes to a purchase order when a vendor accepts or suggests changes to a purchase order in the vendor collaboration interface and returns the changed purchase order to the purchasing professionals. The vendor’s acceptance of the purchase order without changes will automatically update the confirmed delivery date on the purchase order, and, optionally, confirm the order. The vendor’s suggested changes in quantities or delivery dates or the purchase order header info can easily be transferred to the purchase order. This is a one-click action for purchasing professionals when they receive the response with the suggested changes from the vendor. For more information, see Vendor collaboration with external vendors. Employees can now punch-out to external shopping sites from a purchase requisition. The cXML protocol is used to communicate between Finance and Operations and the external catalog residing at the vendor’s system. For more information, see Use external catalogs for PunchOut eProcurement.